Though dissimilar in appearance, on first bite you'll think you're enjoying a Girl Scout Thin Mint cookie. For a special treat, make a sandwich out of these with mint chocolate chip ice cream. 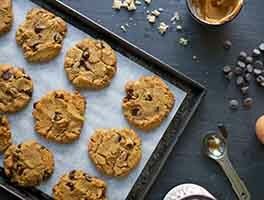 This recipe is one of hundreds of delicious cookie recipes in our King Arthur Flour Cookie Companion cookbook. 12 mins. to 13 mins. 27 mins. to 33 mins. In a medium bowl, beat together the butter and sugars. Add the egg, beating well and scraping the bottom and sides of the bowl. Add the vanilla and peppermint, beating to combine. Add the flour, cocoa, baking soda, and salt, beating to combine. Taste the dough; add more peppermint, if desired. 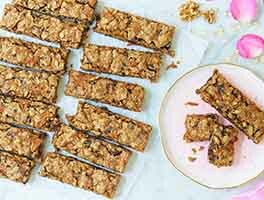 Drop a few generous teaspoonfuls of cookie dough onto the prepared baking sheets, spacing them about 1 1/2" to 2" apart. Since these cookies are dark-colored, it's difficult to tell when they're done. 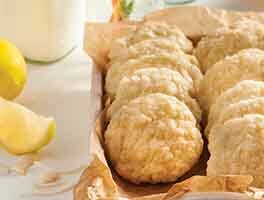 We suggest you bake 2 or 3 cookies alone first, before baking a couple of baking sheets' worth. That way, you can make sure you bake them to just the right degree of doneness. Bake the cookies for 12 to 13 minutes (if they're on parchment-lined baking sheets); bake a couple of minutes less if they're on dark sheets without parchment. Remove them from the oven, and transfer them to a rack to cool. 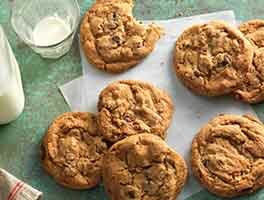 If they're crunchy and you prefer soft, bake the rest of the cookies a shorter amount of time; if soft and you're looking for a crunchy cookie, you'll know you need to bake them longer. 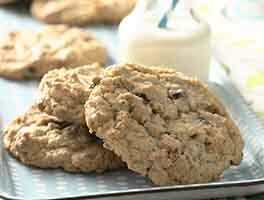 Bake the remainder of the cookies, letting them cool right on the pans, or transferring to a rack if you need the pans. Wrap airtight, and store at room temperature. 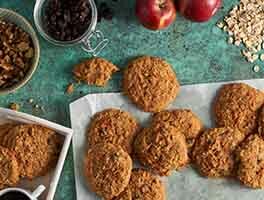 These cookies are sensitive to humidity; if they're crunchy, they'll quickly soften during humid weather, if not wrapped securely. Yield: about 5 dozen 2" to 2 1/2" cookies. Came on the website tonight with a craving for chocolate and peppermint, and a wish for an easy recipe that didn't need refrigeration. (When you have a craving for cookies, who has time to wait for the dough to chill?) This recipe fit the bill on all counts. I used part fresh ground soft wheat flour, and part all-purpose flour, relying on the weight measurement for the correct total amount. I also took note from another reviewer and baked them for part of the time (about 9 minutes), lightly sprinkled them with a crushed peppermint/ sparkling sugar mixture, then let them bake for another 2 minutes (total 11 minutes). They came out perfect and my family approves. Thanks! I upped the cocoa powder from 1/4 to 1/2 cup, decreased the flour by 1/4 cup and upped the white sugar by 1/2 cup. The cookies are dark chocolate, which is my personal preference. They baked 12 minutes and after several hours have a thin crisp outside and a soft inside. It will be interesting to see what happens when they're stored. Very tasty! This is the best cookie I've ever eaten in my 63 years! My husband does not care for peppermint and LOVES them. I used organic DoTerra Peppermint oil but I'm sure the extract would be just as good. I made this recipe and it came out very thick and didnt spread out in the oven while it was baking.They came out hard on the outside and soft in the inside. They didn't look like in the picture. These cookies spread out quite a bit and dried hard and crispy. I make my cookies large (65g of batter each) and these are definitely made to be small, so perhaps that was where I went wrong. The photo is misleading because it makes these cookies appear to be puffy and voluminous, which they are most definitely not. This is so yummy. Don't tell anyone but this is better than the one mom has made for years. Guess it was a good thing that the recipe got lost and I found may way to yours. As my youngest son used to say, "What else you got. " Keep them coming! I made a batch of these last night for my son to take to a party, and then got up this morning and made a second batch for the house! These are definitely on my go-to list from now on. I used half a bag of baking mini M&M's in each batch, instead of the chocolate chips, to make it more fun for the kids. I don't normally like crisp cookies, but these are perfect with a crunch to them.